Oh, the bento box lunch. So cute. So tasty. So environmentally friendly. So simple. Well, I’m here to tell you that you don’t need to be Super Woman to make a bento lunch. And you certainly don’t need 15hrs…more like 15 minutes. I’m starting a new series here at Small Potatoes called What’s In YOUR Bento? I’ll show you different bento lunches, different bento tools and how to use them, along with tips and tricks and time savers. I will show you our bento successes and failures, and point you in the direction of bento products out there on the world-wide web that should get your attention. 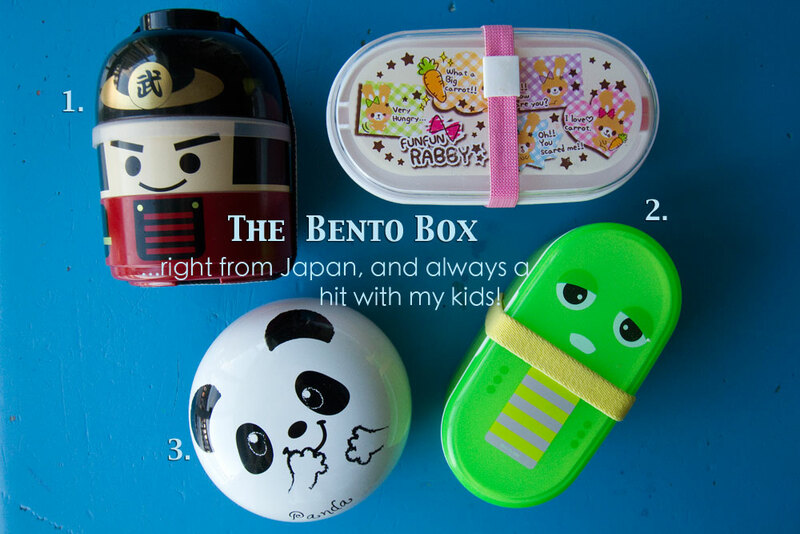 For a little background on how I got started on this addiction, have a peek at my first bento post, The Art of the Bento Box. It will give you an idea of what a bento is, and why I think they are the cat’s pyjamas. Don’t worry, I won’t start without you…go ahead and read it. First you need a bento box. There are hundreds and hundreds of different types of bento boxes at the stores and online, and it can easily be overwhelming to the beginner. I’m going to show you our favourites first… This oval, two-tiered, microwaveable bento is just the right size for the beginner. We have 4 of them. 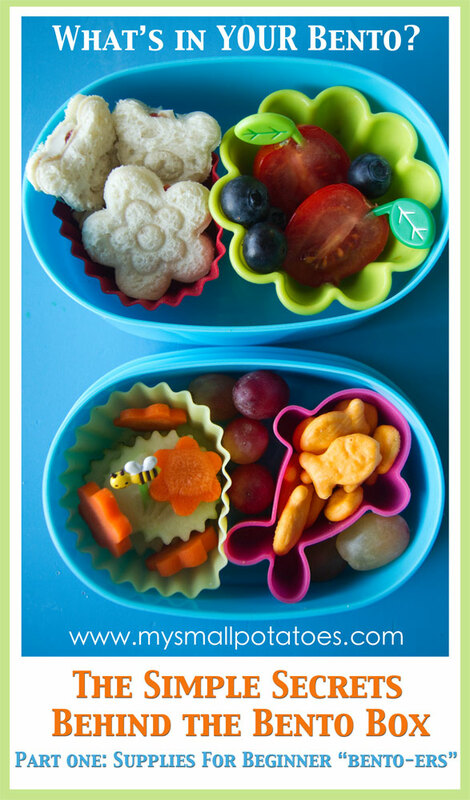 They are very inexpensive, they are easy to fill up, and they are a perfect snack-sized bento for preschoolers and kindergarteners. My school-aged children use these for their morning snack. You can find them in a variety of colours here. We are trying these click and lock style bentos, but reports from my kids say that their lunches are tossed by the time they open them up to eat. The problem is the lids are higher than the container and so there is airspace between the food and the lid. I’m still perfecting the packing of these ones, so stay tuned. For now, we use them for the smalls here at my house when I make bentos for them…who says you have to go out of the house to eat a cute lunch? 1. The cherries/peas This set also comes with an orange-shaped cup. 2. These were purchased in the baking section of our local grocery market superstore. 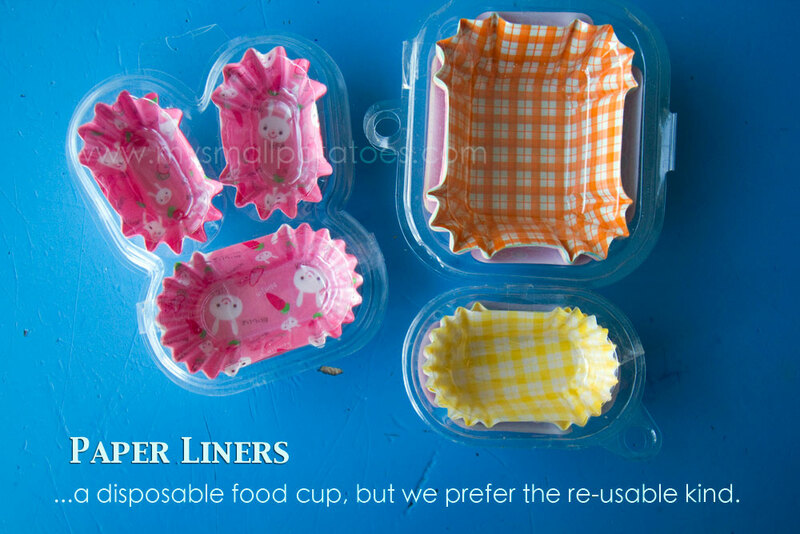 You may also choose to buy the paper liners, which is entirely up to you. There are plenty of patterns and themes to enjoy. I have included the link to the bunny paper liners here. I am a really big fan of the food picks. 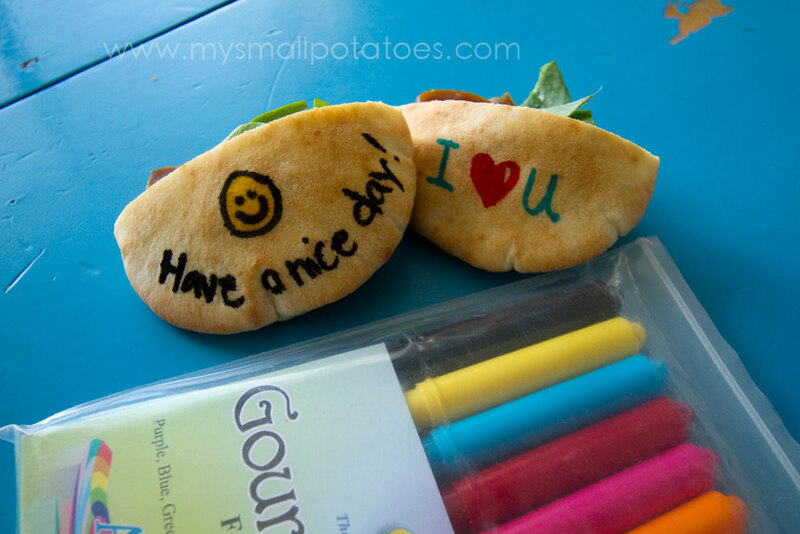 They are the easiest way to make the lunches look cute, and they are not expensive at all. It only takes a second to stick a pick into the bento! Bunny food picks, panda food picks, leaf food picks, circus animal food picks, flower and bee food picks, and cute face food picks. 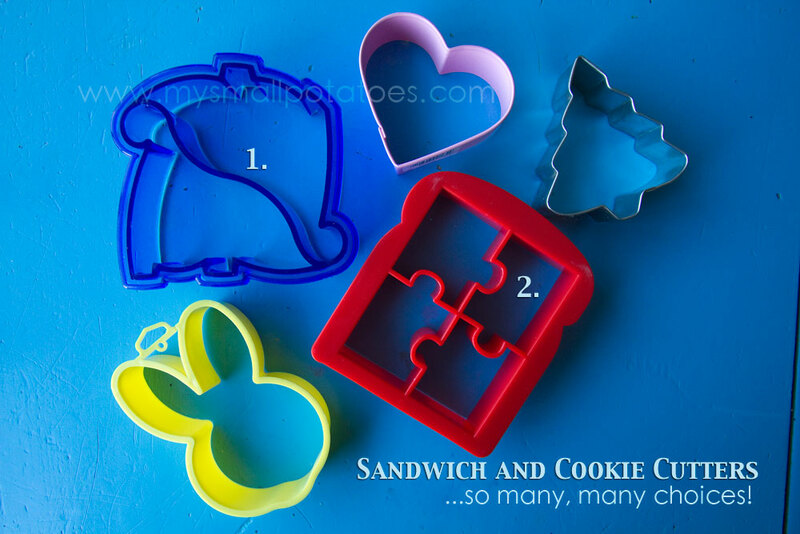 Sandwich and cookie cutter are great for making sandwiches a little less boring. They are not hard to use and they are not expensive. You can use any cutter you can find as long as it will fit on a piece of bread! Small containers are great for things that need their own lid within your bento, like veggie dip, yogurt, salt, ketchup, etc. 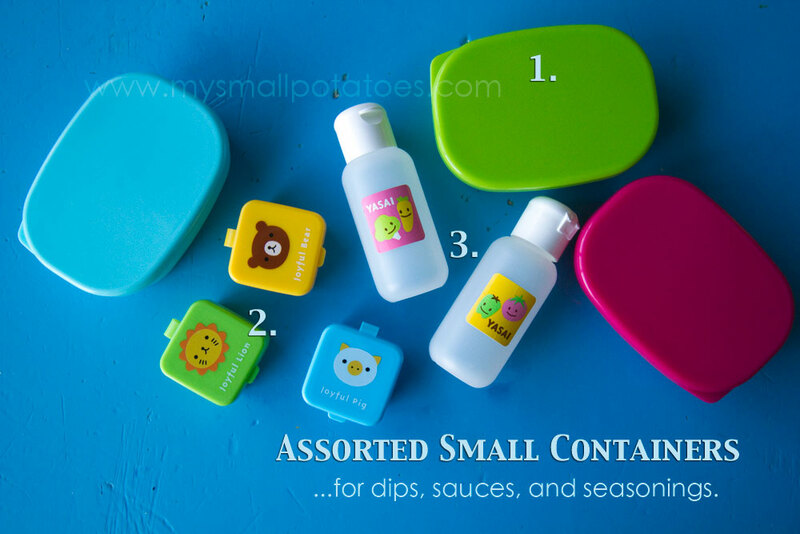 You can often find tiny containers at the dollar store in their crafting section. For real. 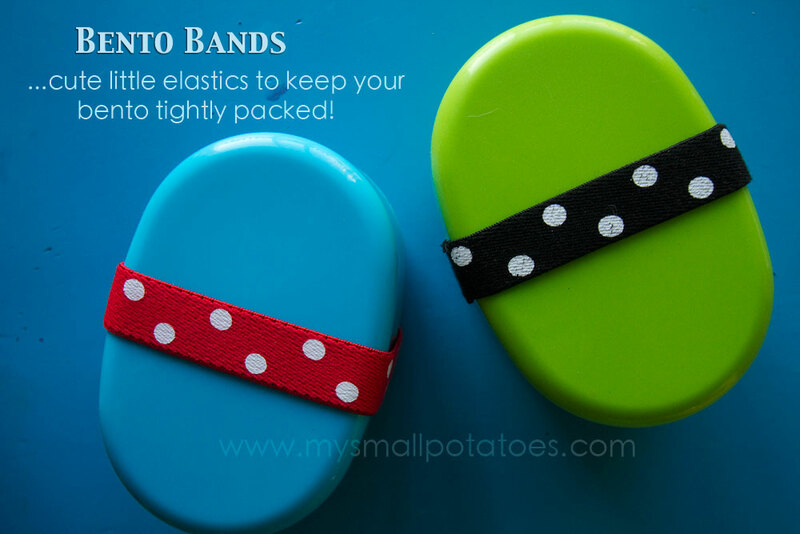 They are for organizing beads and things, but they are perfect for bentos! And the food decorating pens. Let’s not forget those! 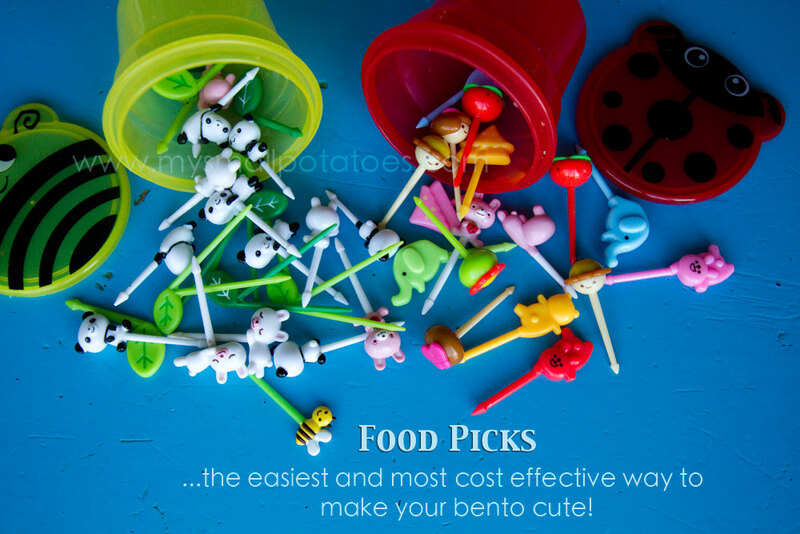 They are one of the pricier items when building up your bento supplies, but certainly not one to forget! 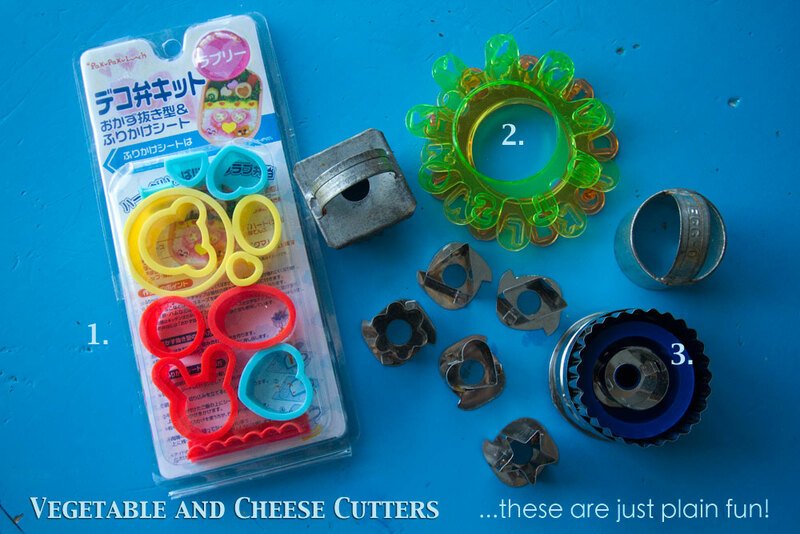 Can you tell they are one of my favourite bento tools? Look what you can do! I write little notes on bananas, cheese, and sandwiches. You can draw faces, pictures, embellishments of any kind and the marker is food-safe. So. Much. Fun. you can find them here. So now you have the basic tools to build a bento box lunch. I don’t want to overwhelm you newbies, so we are going to stop here. You can tune back in next week for the next post in our What’s in YOUR Bento? series, where you will learn all about the sandwich press. Oh, and it’s fun! The three websites I have referenced in this post are allthingsforsale.com, casabento.com, and jlist.com. I have ordered from all three of these sites and have received my order in a timely fashion. Jlist may take a bit longer because they are shipping straight out of Japan. But before you go, have a look at this little bento created entirely from the tools and supplies we’ve listed above… One whole lunch. One container. No trash. Happy kid. Happy planet. p.s. 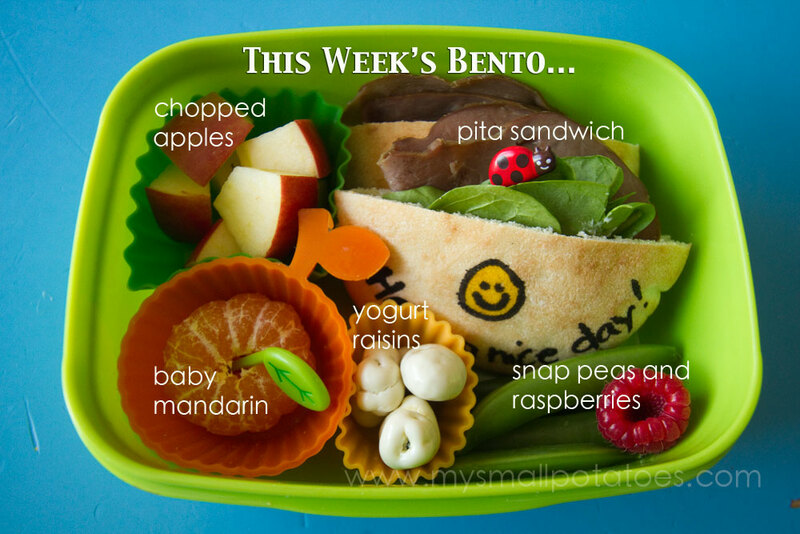 Bentos are a fantastic solution to tackling the “fussy eater.” When food looks cute, we are more likely to give it a try, AND there are only little bits of LOTS of things, which encourages trying new things! 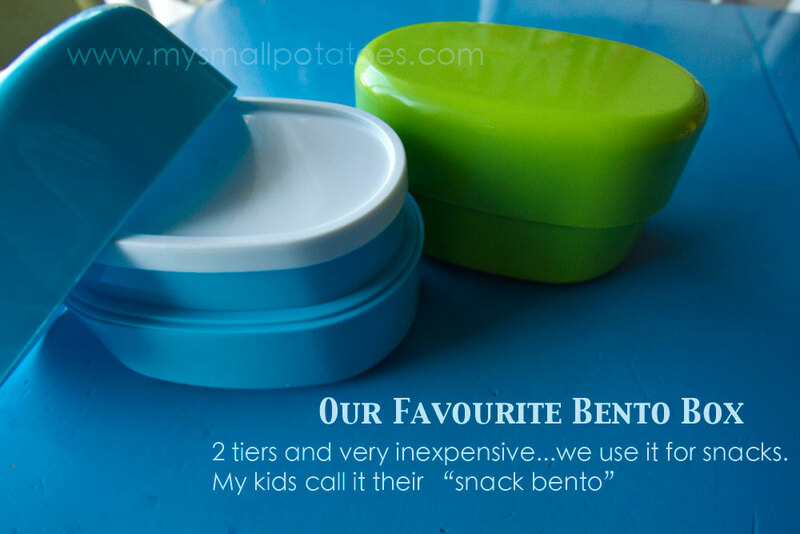 Posted in Bento Boxes, Childcare, Cooking, creativity, DIY, Early Childhood, Education, Food, Fussy eaters, Imagination, Inspiration, Japan, Lunch, Meals, Nutrition, picky eaters, Uncategorized, What's In YOUR Bento? Woot! Thanks, Steph! Nice to see you here! Do you know where I can find an English book of ideas for foods to put in the bentos? I’m sorry, I don’t. Come to think of it, I’ve never seen any books about bentos…not even in Japanese! Interesting! I’ve only ever looked online. 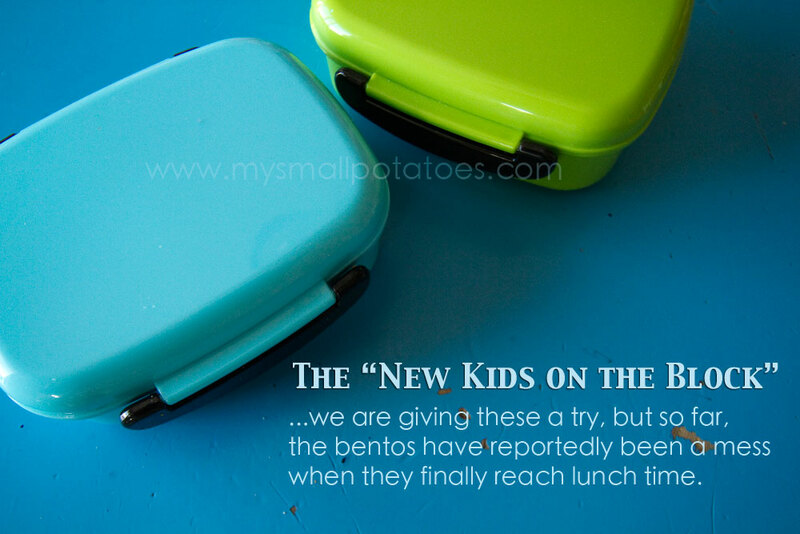 There is another blogger out there who has bento posts every week…www.meetthedubiens.com She’s got great ideas!! Could you link to your favorite lunch bento again? The link isn’t working, and that’s JUST they type I have been looking for (2 sections, deep, airtight lid)! Thank you! 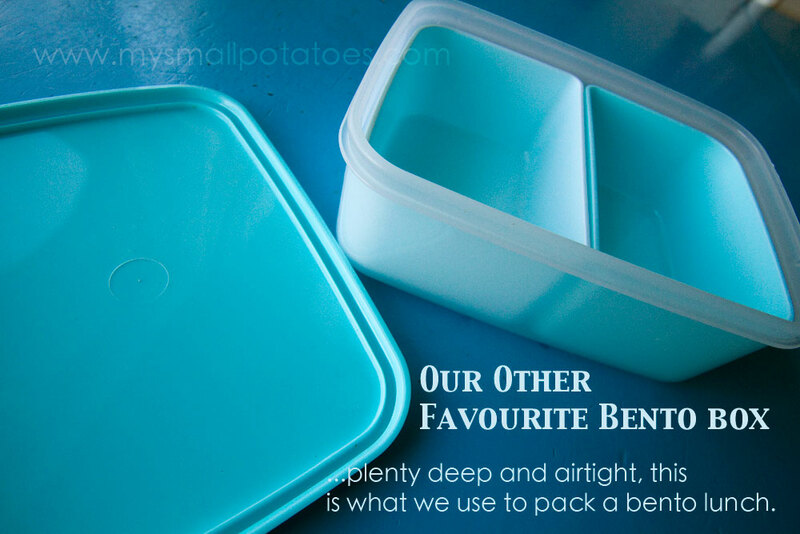 Jess, do you mean the rectangular one that says “our other favourite bento”? The link is in ORANGE print underneath the photo and I just tested it…it went to the right place. Can you try it again and let me know? Oh how odd… I tried several times this morning and it wouldn’t work – now it’s fine! Must have been my internet; sorry to bother and thank you for responding! So glad I found your site, excited to start these for my twins when they start kinder in the Fall! How do you keep the food cold, though? Put the bento in another bag with a ice pack? 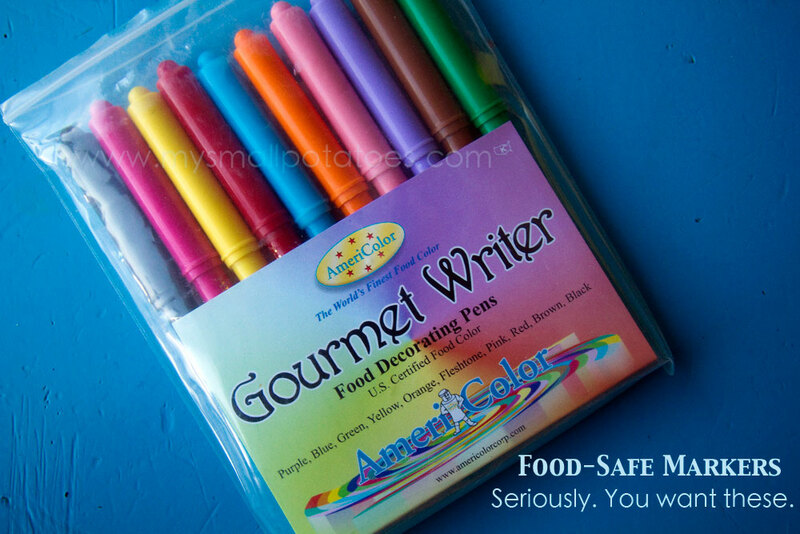 I’ve never seen “food decorating pens.” That’s interesitng! Such a great site! Where did you find the storage cups the picks are in? Thanks! I always wonder this…what do people do with the food “scraps” after they’ve cut out the cute shapes? I’d love to try some of the cut-outs, but don’t like the idea of wasting so much food. Suggestions? Sounds like I need to get some chickens. 🙂 Thanks for the tips! Hi I’m just getting into Bento, found your site really helpful, and explained everything great thank you 😀 do you have an Instagram account? I can’t wait to get started! so excited….